Traditional methods of managing performance aren’t working anymore. Companies are moving away from traditional performance management tools, like annual reviews, to new techniques that emphasize real-time feedback. You know the drill: managers and employees sit down once a year to review performance. 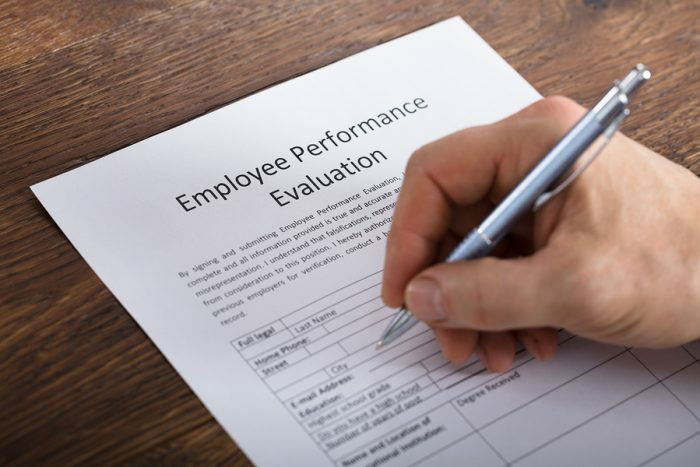 These performance reviews assess an employee’s performance on a scale, or give it a numerical rating. And then, in some cases, employees are given a ranking compared to other employees. 58% of HR executives consider reviews an ineffective use of supervisors’ time. Every year, the average manager spends about 210 hours doing reviews. That’s more than a month of their time. Only 2 in 10 employees strongly agree that their performance is managed in a way that supports them to do outstanding work. Traditional performance management approaches aren’t effective because they weren’t designed for the current workforce. Today, with a tight labor supply and the nature of work very different from the industrial past, organizations must focus on developing people, rather than rating them. This requires a shift to performance development. Here’s how you as an HR professional can help your management team create a thoughtful performance development plan. This is important for two reasons: to make the case to management that there is room for improvement in your current performance management system and, later, to provide baseline metrics to which you can compare your system after the shift to performance development. Where is the current system working well? Where is it falling short? Do employees receive timely and frequent feedback? Are employees given the opportunity to master skills and develop new ones? Are promotion and compensation decisions fair and equitable? Does the system help employees understand their purpose and how it contributes to the company’s larger goals? As part of your evaluation, also assess current organizational performance. A shift to performance development will see organizational performance metrics improve, and you want to be able to quantify this improvement. Let your senior management team know that performance management may no longer be meeting your company’s needs. Two-thirds of companies are shifting from traditional performance management to an emphasis on developing talent and providing continuous feedback. Then present the results of your audit to senior management. What are the areas that need to be improved? Provide examples of how performance development will help improve these areas. For instance, if your employees rarely receive feedback outside of their annual performance review, show how alternatives to the review, such as consistent coaching or monthly or weekly Big Five meetings, can provide your employees with regular feedback. If your management team is open to a new approach to performance, engage them to decide how far you’ll go. Will your company entirely abolish old performance management methods or adopt a hybrid approach? For example, some companies have entirely done away with performance reviews and employee ratings. Others, such as PwC and Deloitte, have moved towards more complex performance snapshots provided more frequently. PwC employees now receive scores on five competencies, along with other development feedback, while Deloitte employees receive scores on four categories on a quarterly basis. When shifting to new types of performance management, companies often forget that they must do more than simply abolish annual reviews. They need to replace their old techniques with news ones, and find techniques that work for employees and managers. Reward performance. Whatever method your company chooses, employee performance should be judged not only by how an individual worker’s performance stacks up against others, but judged against what is considered success in that role. Identify and support poor performers. How will your company identify and support struggling employees in real-time? This is much better than letting issues fester for months, until the next performance review. Train managers on how to work with employees to create individual employee development plans that help employees continue to learn and develop. Brief all employees on the new approach, and let them know how their performance will be measured and developed. Establish norms around frequency of feedback and any tools or systems that will be used to provide and capture feedback. Ideally, this training should be delivered in part by senior management, to demonstrate the strategic importance of performance development and show that it has buy-in from the top. Remember those baseline metrics we establish in step one? Four to six months after implementing a new performance development program, evaluate the new system by those same criteria and note any changes. Report back to senior management on how successful your company has been in its transition to developing and supporting talent in real-time. Chris Lennon is Vice President of Product Management at BirdDogHR. Chris is an active participant in the talent management community bringing over 18 years of experience to BirdDogHR. He has presented at numerous industry events and has been quoted as an industry expert in leading publications like Talent Management magazine, CLO magazine, New Talent Times, TLNT and HR Bartender.